Bitcasino.io is pleased to announce that their new and improved website is now up and running. Operated by the Coingaming Group, Bitcasino is the first ever licensed bitcoin-led online casi-no dedicated to offering a fair, fast, and fun gaming experience to gamers globally. It’s well known that loading speed is one of the most important parameters of satisfaction for users of any website. Slow loading websites not only create frustration among users, but also causes serious navigation issues. Therefore, Bitcasino’s team of designers and developers spent the last two months relentlessly working to create the most responsive, mobile-first and cus-tomer-friendly online casino. The launch of this new website has now opened up the quickest route to the ultimate casino ex-perience for the new generation of technology savvy gamers who wish to play and withdraw within a matter of minutes. 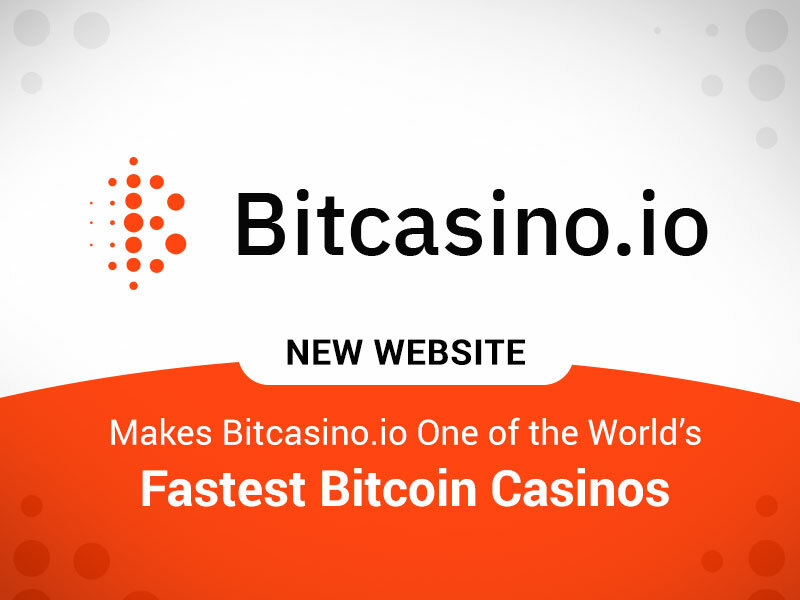 The re-launched Bitcasino website, however, is not just about speed. It also offers a host of fea-tures that enable players to completely personalise their experience, including an extensive range of configurable search filters, additional cryptocurrency options, easy-to-use and control wallet options, and a wide range of new and improved promotions. Tauri Tiitsaar, the Head of Casino at Bitcasino.io said, "Our players wanted a faster loading site, with personalisation and a wide range of search parameters at the heart of the offering. We listen closely to every element of feedback we receive and have delivered on our promises with an exceptional product." In the coming weeks, as part of a drive for continuous improvements, players will also be al-lowed to search for games that suit the gameplay type of any particular player, including param-eters such as Return to Player (RTP) percentage, hit frequency and volatility. The new website contains over 1500 games for every and any type of player, whether they pre-fer feature-rich games with smaller but more frequent wins, or classic high volatility slots with less hit frequency but huge payouts. It also offers lightning-fast deposits and withdrawals se-cured by the blockchain, anonymously and effortlessly. The Bitcasino team has even thought about those new to crypto world and continue to work with BTCXE, the industry’s first fiat-to-Bitcoin currency converter, allowing anyone the op-portunity to securely and easily join in the crypto casino fun. "Our philosophy is to put our customers at the center of the universe, and we have done exactly that with our re-launched Bitcasino product which truly is the ultimate, player-centric, mobile-first product," Tauri added.